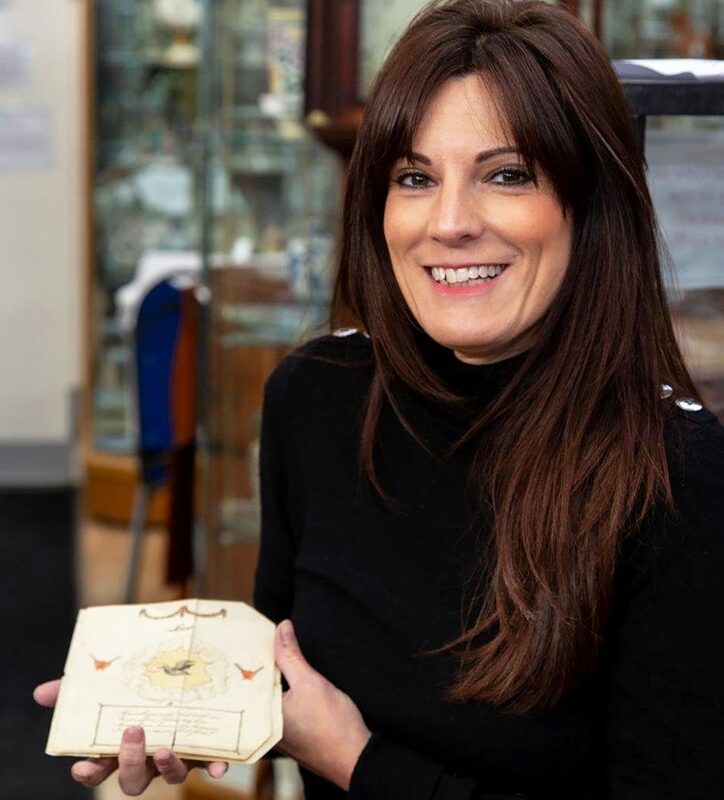 A 230-year-old Valentine’s Day card which was found in a pile of old letters is set to fetch hundreds of pounds when it goes under the hammer on February 14. The romantic paper love token features a picture of a dove carrying a letter in its beak and two hearts with cupid’s arrows through them. Addressed to a woman called ‘Ann’ the message on the front reads: “Farewell you sweet and turtle dove. On you alone, I fixed my love. 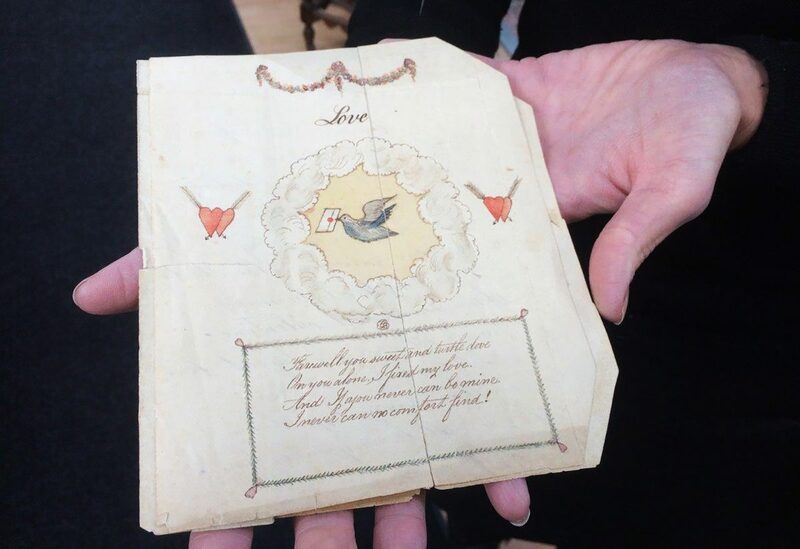 The card dates back to around 1790 and was discovered in a pile of letters and cards in a private collection. It is now going under the hammer on February 14 and is expected to fetch up to £400. 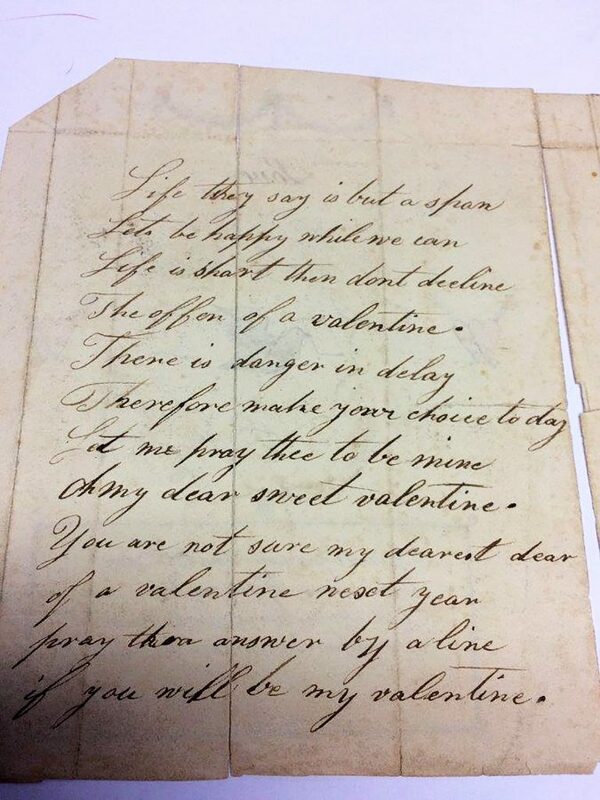 Auctioneer Charles Hanson, who discovered the card, said: “I was assessing a large, private collection of more than 200 mainly Victorian and Georgian Valentine’s cards in three albums and had gone through them several times when I came across something very special – a message of love written around 230 years ago. “It’s delicate and torn as it’s been written on paper. “Nevertheless, it resembles a traditional card with a picture on the front and a verse inside. “The damage was caused by the fact that the message was folded to post to its recipient, ‘Ann’, who lived at Hartwell House in Aylesbury, Buckinghamshire. “However, its heartfelt, handwritten declaration of love is still intact and that’s enormously touching. “This Valentine, circa 1790-1810, dates back to the reign of Mad King George III. “Romantic novelist Jane Austen lived from 1775-1817 and love notes like this would have been familiar to her generation. 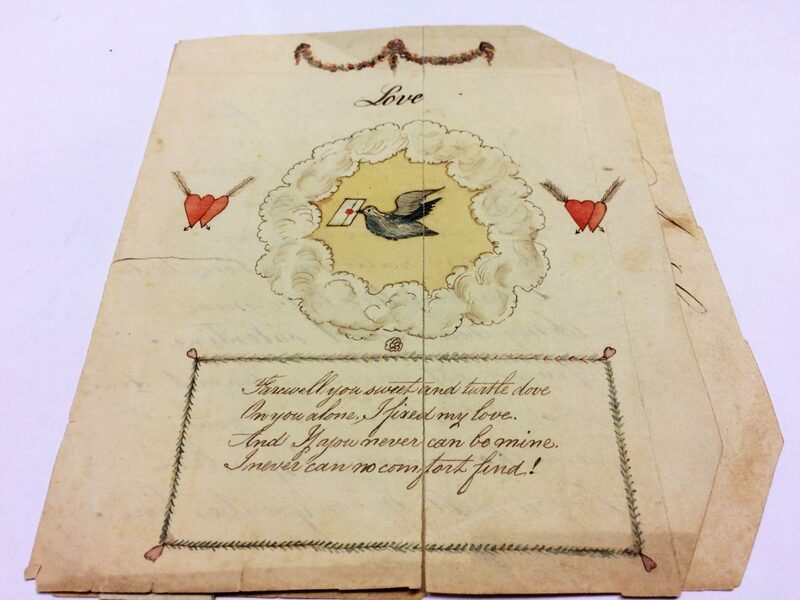 The front of the message features the word ‘Love’ above sketches of hearts and a dove carrying a sealed envelope. The card is part of a collection, which belonged to the late Lawrence Randle, a keen philatelist and card collector who died at aged 88 in 2009. His son, Oliver Randle, a retired computer service manager from Newbury, said: “My father collected most of these cards in the UK between 1949 and 1990 before moving to South Africa on his retirement. “He worked for the Inland Revenue, rising to district valuer before retiring in the 1980s. In Britain, Valentine’s Day began to be celebrated in the 17th century. By the middle of the 18th century, friends and lovers of all social classes exchanged small tokens of affection or handwritten notes. The card will be sold at Hansons Auctioneers in Derbyshire. This content was written for The London Economic Newspaper by SWNS, the UK's largest independent press agency.